This eBook is not about making fast money online or making millions of dollar on your eCommerce store. It’s first and foremost a guide to building a long-term profitable business. No matter if you’re just starting out or been in business for a few years, this 30-day marketing plan will increase your online presence and set your online business up for success. 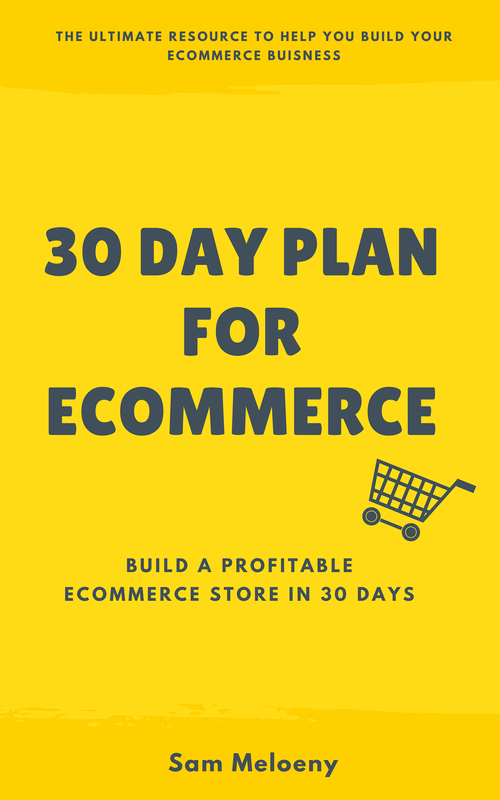 In 5 steps over 30 days, you will learn the techniques to set up and optimize your online store and finally begin to start making money. I started my first online business in 2006 before the big eCommerce boom. By playing around and testing different techniques, I learned all about what it takes to build a successful online business. I started with NO marketing skills at all. I will admit, my first store did not do great. But I didn’t give up. Instead, I decided to take web design classes, graphic design classes and learned WordPress on my own so I wouldn’t have to pay someone else do it for me. That gave me the chance to start several eCommerce stores in completely different industries and learn the ways of digital marketing. I began to learn how to get more visitors to my websites and how to increase my ROI. Today, I still operate my eCommerce stores but my main focus is HELPING other businesses succeed with the digital marketing skills I’ve learned after 11 years of experimenting.